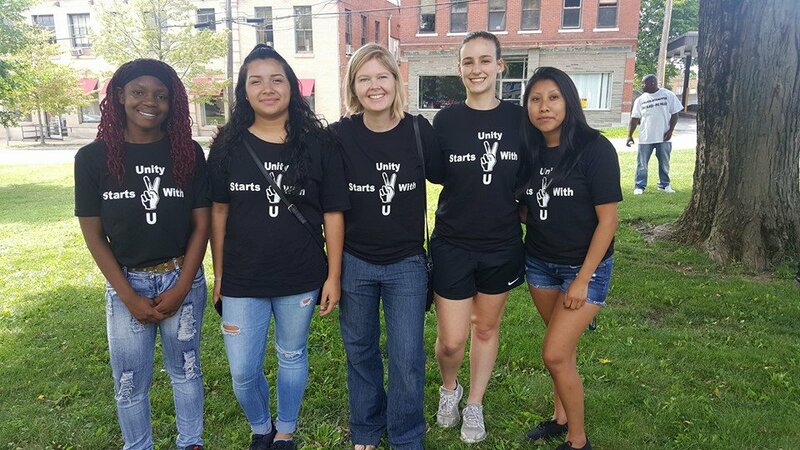 Some of our members, and staff wearing our newest Unity T-shirt. Buy it here now!! Black Lives Matter is a chapter based national organization working for the validity of Black life. We are working to (re)build the Black liberation movement. #BlackLivesMatter is a call to action and a response to virulent anti-black racism, unique contribution that goes beyond extrajudicial killings of Black people by police and vigilantes. Created in 2012 after Trayvon's Martin murdered was acquitted for his crime and dead 17 years old Trayvon was posthumously placed on trial for his own murdered. Why should we support #BlackLivesMatter? Black Lives have not mattered since the beginning and have not been given the respect and dignity they deserve as human beings. Supporting this movement does not say other lives don't matter, it says Black lives are the ones dying and they need our support. Why does YEG support #BlackLivesMatter? YEG is supporting this movement because although it has not been a big problem in our communities but we want to bring awareness to this issue before there is a body. Having YEG members who are of color gives us a reason to advocate for this because we know they face discrimination for something they cannot change. Many people attended the black lives matter rally last Saturday It was a very amazing experience. I believe the best part was hearing everyone's opinion on the #blacklivesmatter campaign, also the diversity. Everyone understood that we can be pro black and pro police. Not just one side. We are spreading a message through our shirts that in order to end the chaos we must work together not against each other. We must pass this on. “Our lives end the day we become silent about the things that matter”. Black Lives Matter! 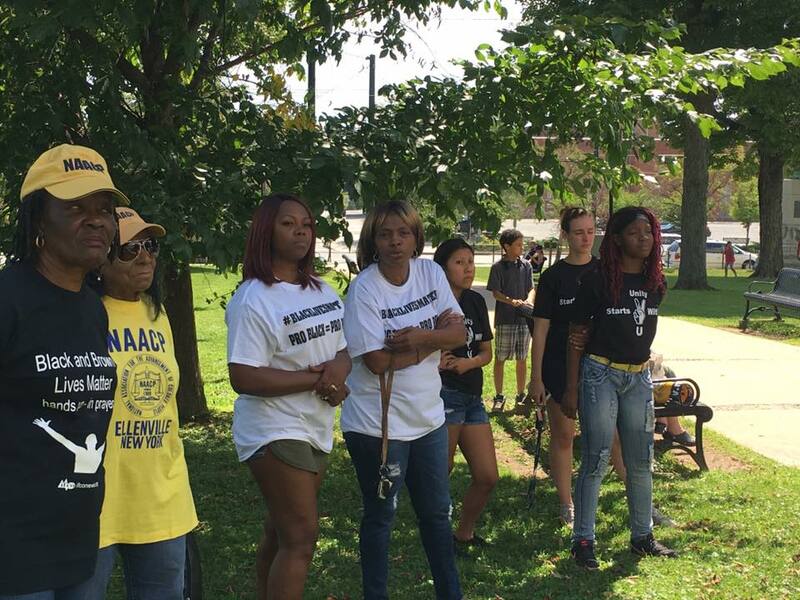 Two of our members and staff supporting the Black Lives Matter movement at the Monticello rally! Buy our T-shirt and start a conversation in your community! You can tweet/FB/IG a picture with a sign that reads "I support #BlackLivesMatter because_______"